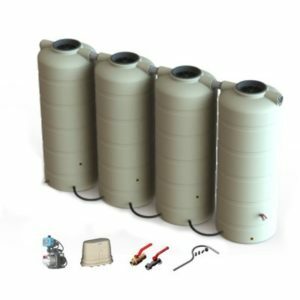 Bushmans offer great deals on water tank and pump packages. You get all the accessories you need to set up and protect your water tank and pump. 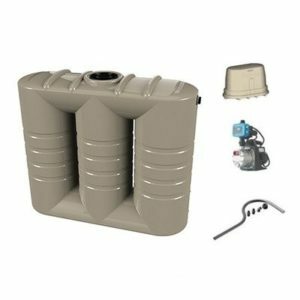 A water tank and pump package is a very good way to purchase your water tank, as it comes with all of the fittings required, and all you need to do is connect your pump to your tank and pipes. 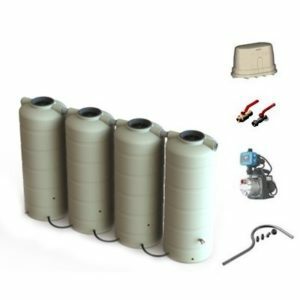 Bushmans offer great deals on water tank and pump packages. You get all the accessories you need to set up and protect your water tank and pump. 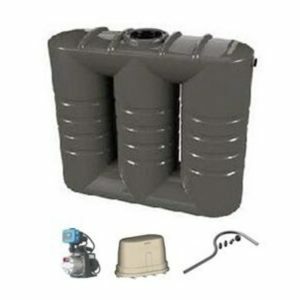 When you install a rainwater tank around the house or garden you will generally need not only the water tank, but also a water pump to be connected for garden watering and supply to the house. A successful rainwater harvesting system includes a fully connected system of tank and pump. 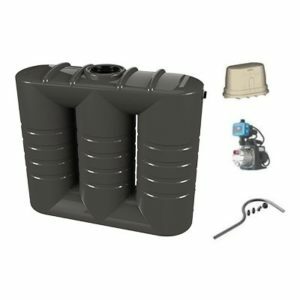 To help our customers install a more complete rainwater tank and pump system we have put together several water tank and pump packages for the house and garden. 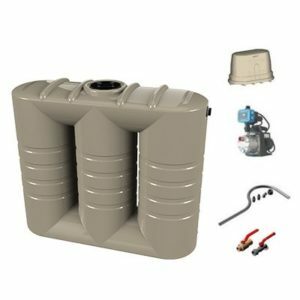 These packages include the water tank, the appropriate water pump, pump cover, (protecting the pump against the elements) flex hose kit and various combinations of leaf protection units. Having the water tank, the accessories and water tank pump together ensures that your tank will be ready for use from the moment it arrives, and you know that both tank and pump are quality guaranteed. Before you decide on a combination, a good process to go through is to work out how much water you need to store and then how much water you need to pump and at what pressure. The types of things to consider could include; how many showers are operating at once, will they be going at the same time as the garden is being watered, or the washing is being done. These and other factors will have a significant impact on your water tank combo and pump package choices. There is a wide range of pump and water tank packages available including submersible and surface mounted packages. There are a number of Rainsaver packages which is a tank and pump plus an automatic change over device. These can be mechanical or electric in operation. The way rainsavers work is when a tank empties it will automatically change the water source form the tank to the main water. When the tank fills again it will switch back to tank water. A simple and great product to make using your tank water a pleasure. Bushmans can provide advice of what water tank packages and pump combinations will be best suited to your particular application. Browse the different options above – if you have any questions, please call our experts on 1800 287 462.